Now it’s time for the MTA to take the next step toward transparency as the governor and Legislature begin the difficult work of finding sources for the billions of dollars necessary to pay for Fast Forward -- as well as the authority’s expected capital needs. While Byford estimates the cost of Fast Forward to be $40 billion, it is essential that the MTA provide a budget detailing the plan’s costs as well as its 20-Year Capital Needs Assessment. If state government is to do its job, we need to know what fixing our subways and buses will really cost. 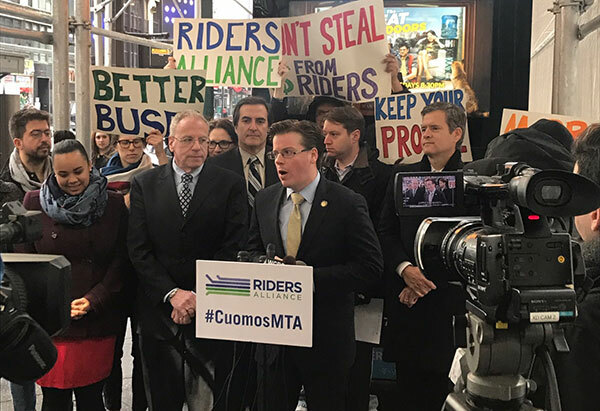 Without a detailed budget, the necessary revenue that must be provided to save our transit system will be unlikely to materialize and millions of riders will suffer the consequences every day. The collapse of our subway and bus systems isn’t Byford’s fault. It is, in fact, ours. Decades of indifference, neglect, and underfunding from Albany has hamstrung our public transit and now threatens to irrevocably damage the fabric of our city. Make no mistake, without public transit; New York City ceases to be. So it is our duty to fix it. Historically, Albany’s inaction has stemmed in part from the lack of a clear vision of how to fix public transit. Now that we have that framework in place, the final step still remains. The MTA must show us exactly how it plans to implement the plan and how much it will cost. There have been many ideas for how to provide additional revenue to the MTA—congestion pricing, value capture, a millionaires’ tax, new corporate taxes—but not a single one of these proposals will ever gain enough support in the Legislature if lawmakers are in the dark as to the exact costs of the agency’s capital needs. Time is of the essence. The governor will deliver the next State of the State on January 9 and the next preliminary budget a week later. The MTA cannot wait until then to submit to the Legislature its capital needs and a budget for the Fast Forward proposal. The costs of Fast Forward need to be factored into the governor’s executive budget long before its release, and the scope and importance of the Fast Forward plan requires that the Legislature is given ample time to review and hold hearings on the authority’s proposed costs well before budget negotiations begin in January. Once the MTA shows us the numbers, then it becomes Albany’s task to make sure we raise the necessary revenues without unduly burdening already-frustrated straphangers. 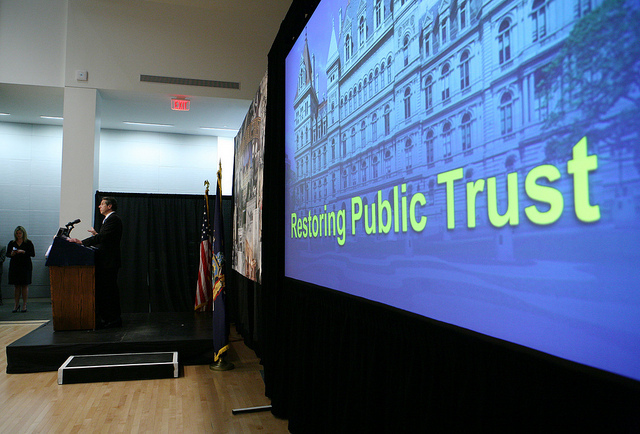 Unfortunately, Albany doesn’t have the best track record when it comes to securing real funds for the MTA. The authority’s current capital budget, the 2015-2019 Capital Program, was only approved in 2016—sixteen months late—and of the $32 billion that was approved, the source of most of the state’s $8.3 billion share has yet to be identified. This type of delay and the lack of a clear identified revenue source cannot happen if we expect the Fast Forward plan to be successful. Beyond submitting its Fast Forward and 20-Year Capital Needs Assessment budgets this fall, the MTA should submit future Capital Program budgets earlier, in order to demonstrate the need for dedicated, long-term revenue streams, the Capital Program should have a longer timeline than its current five years. This year Assemblymember Carroll drafted and passed in the Assembly a bill, A.11094, which would have required the MTA to submit its capital budgets earlier than currently mandated—but the bill never came to a vote in the Senate. To facilitate long-term planning, the MTA should share the full cost of the 15-year Fast Forward plan rather than breaking it up into the five-year chunks. The current system of temporary fixes is unsustainable and cannot continue. 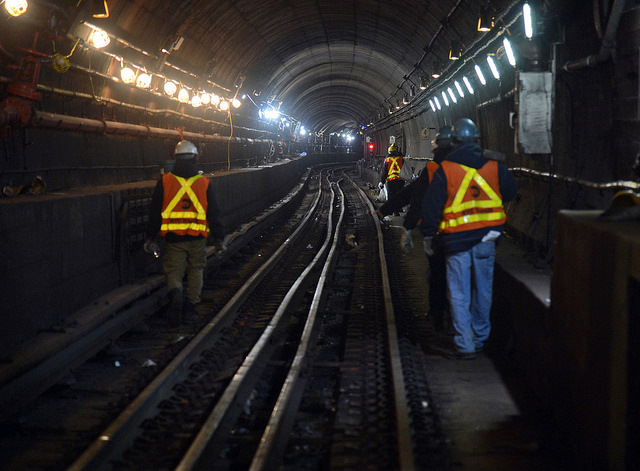 Without a budget and time for the Legislature to review it, the state will again fail to act on a concrete plan to finally fix and modernize our subway system. There might be some serious sticker shock in Albany, but it’s time for us to roll up our sleeves and get the job done. If we don’t, then Fast Forward will remain Byford’s dream, while millions of riders suffer the daily nightmare that our subways have become. 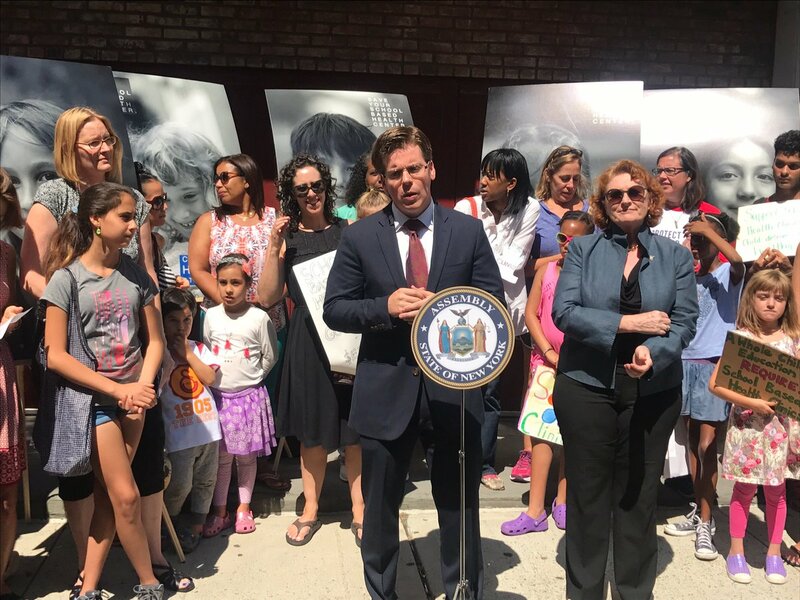 New York State Assemblymember Robert Carroll represents the 44th Assembly District which is comprised of the neighborhoods of Park Slope, Windsor Terrace, Kensington, Victorian Flatbush and Boro Park. Nick Sifuentes is the executive director of Tri-State Transportation Campaign, a transportation advocacy organization. On Twitter @Bobby4Brooklyn & @Nick_Sifu of @Tri_State. In the state capital of Albany, Carroll recently introduced a bill, the Young Voter Act, that would allow 17-year-olds to cast ballots in state and local elections. 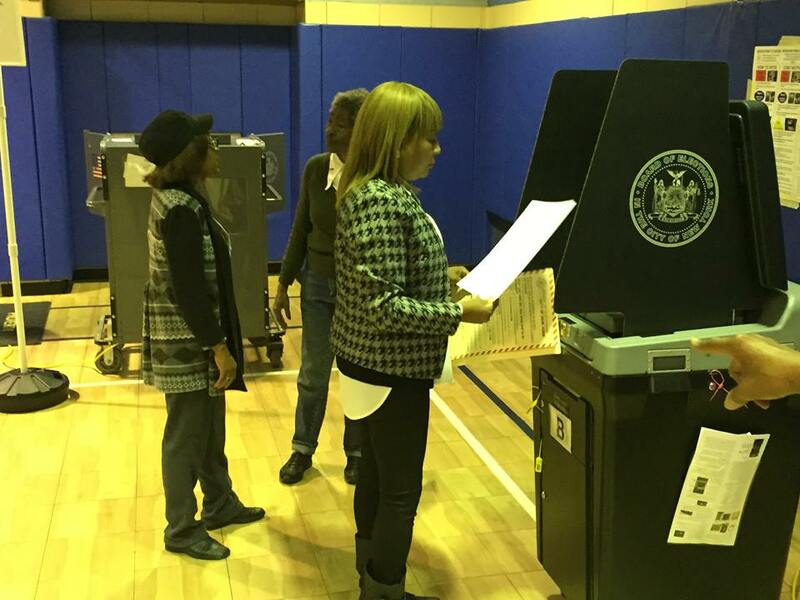 The voting age is currently 18 for national elections and within New York. The legislation would also require that all students in public high schools receive at least eight hours of formal civics education, and that schools provide voter registration forms to students when they turn 17. The proposal, which Caroll will attempt to see moved when the Legislature returns to session in January, is aimed at improving New York’s dismal record of voter turnout (among the worst states in the country). 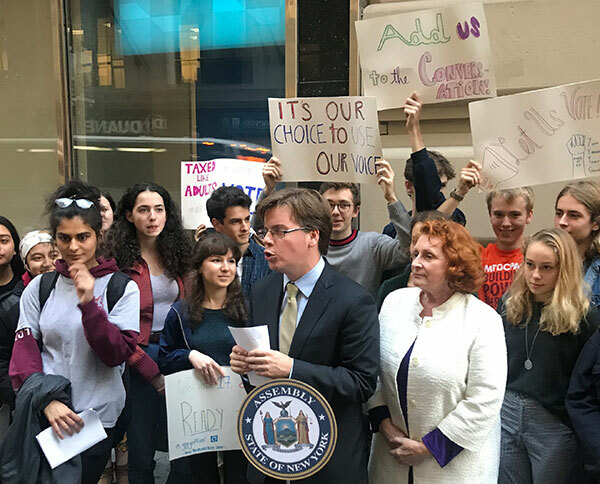 On Monday, Carroll rallied in support of the bill outside the city’s Board of Elections with fellow Brooklyn Democratic Assemblymember Jo Anne Simon, as well as several politically engaged high school students and advocates. This included the leadership of the Youth Progressive Policy Group (YPPG), a group of students whose stated mission is to “give the youth of New York a voice in our state’s political process.” The group claims that engaging people in the electoral process early will lead to a more civically active life later on, and it is thus important to not only educate students in civics at an early age, but also to empower them to be a part of it. YPPG’s President, Eli Frankel, a senior at Manhattan’s Bard High School, was quick to note that 17-year-olds are productive members of civic society in other ways, and that this should be extended to voting. Chris Stauffer, YPPG’s vice chair and a senior at Bard, noted that in places where voting rights were extended to high school students, the turnout results have been very promising. “Sixteen- to 18-year-olds in Takoma Park, Maryland actually have double the turnout than 18- to 25-year-olds,” Stauffer told Gotham Gazette of the locality that has lowered its voting age to 16. “This is without any reform to civics education.” People who are still in high school may have fewer extraneous obligations than someone in the age bracket immediately following, where many are away from home at college, allowing them to vote with regularity and consistency and setting them up for a lifetime of civic engagement. 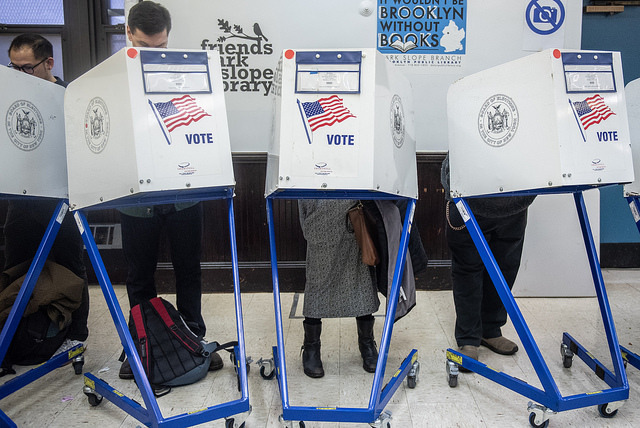 Lowering the voting age alone might not be enough to spur extensive turnout among high school students and young people in general, which is why the bill includes more robust, comprehensive civics education in New York schools. The non-profit group Generation Citizen partners with schools in cities around the country, including New York City, to provide students with an “action civics” curriculum centered around local issues, wherein students seek to enact change in specific issue areas. Generation Citizen helps fill a gap in civics education found in many schools and school systems, but it currently operates in a relatively small percentage of classrooms. Civics education is often lacking in schools, especially as it relates to close-to-home politics and government. The bill also would provide for instant registration within schools. Schools currently have most relevant information for voter registration anyway, aside from an individual’s signature and party registration, according to YPPG Policy Director Max Shatan, a senior at Bard. This allows the process to involve minimal effort on the part of students. 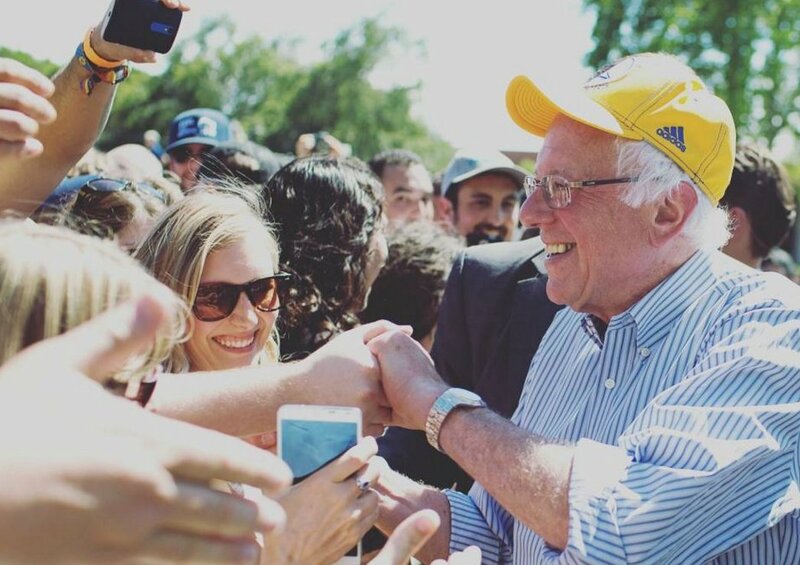 According to YPPG PR Director Ilana Cohen, a senior at the Beacon School in Manhattan, these foundational steps in schools would engage people in the process even more than simply allowing them to vote at 17. “Establishing the importance of voting in the classroom has a much greater effect than simply allowing teenagers to go out after high school and let them independently register to vote,” Cohen said. Prior to the bill’s introduction, Assemblymember Carroll sat down with some of the students at YPPG to gather input on a pre-registration bill already in the Assembly. According to Carroll’s chief of staff, Dan Campanelli, during this conversation Carroll suggested crafting a bill to lower the voting age to 17, which was ecstatically received by the students. Carroll subsequently worked on the bill with the students. 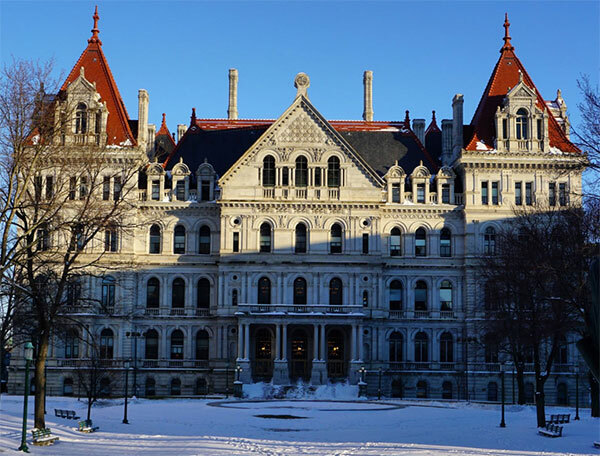 Although the bill has 23 co-sponsors in the 150-seat Assembly including Carroll, it would have to overcome the significant hurdle of passing the Republican-controlled state Senate, as well as to bypass a culture in Albany that is notoriously resistant to voting reform. Senate Republicans have been resistant to election reform measures that have passed the Assembly, like early voting and same-day registration. Younger voters typically skew Democratic, giving another reason for the GOP to oppose Carroll’s bill, especially as Republicans cling to the slimmest of majorities in the Senate, only due to several rogue Democrats who either caucus or form a coalition with the GOP. Though Carroll largely did not speak to its chances in the Senate, he is confident in its ability to pass the Assembly if it gets out of committee there. Note - This article has been updated to clarify that YPPG's members are seniors at Bard High School, not juniors.